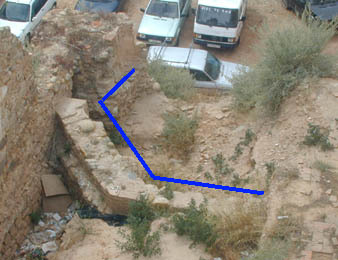 In order to accomplish these aims, the project is pursing two paths: (1) the research of literary, archaeological, numismatic, and epigraphic evidence with regard to Calagurris, along with the excavation and conservation of the main archaeological sites of the town; and (2) the restoration, virtual reconstruction, and museum display of this heritage, for the improvement of the historical center, the development of tourism, and the activation of the possibilities of Calahorra as town. Data for this page kindly provided by The Calagurris·Iulia working group. 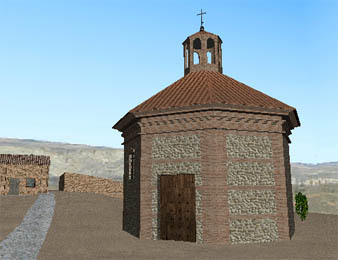 As a first task toward building virtual reality reconstructions, we have developed the virtual model of the hermitage of the Holy Martyrs known in Calahorra as "The Holy House", which had a great historical and traditional significance for the Calagurritans, since it was built in the lot where, according to the legend, rose the Roman tower in whose dungeons the Patron Saints of the city, San Emeterio and San Celedonio underwent torment (see the photo of the Holy House over the wall remains of the Roman period; hover over to enlarge). 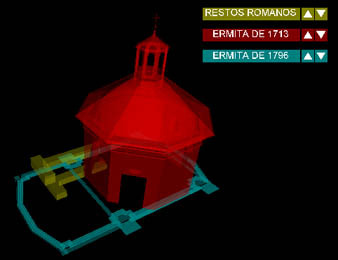 Virtual reconstruction of the Holy House of 1713 (hove over to enlarge). The Holy House was first built in 1713 and almost a hundred years afterwards was rebuilt in order to widen it. 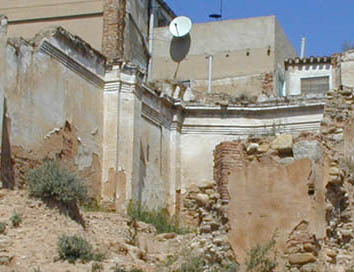 This new hermitage was far bigger, and so it survived the burning by the Napoleonic army during the invasion of Spain in 1808, lasting until it was declared in state of ruin in 1972 (see the photo at the left; hover over to enlarge). 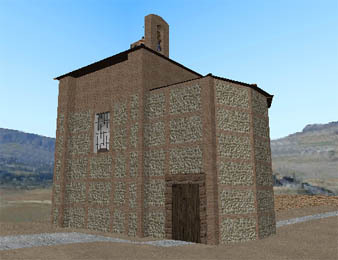 Users can visit both hermitages in the virtual model and see their exterior and interior architecture and decoration as they actually were. They will also be able to see the location of the floors of both hermitages and the Roman remains that are conserved under them in a chronological model. Virtual reality model reconstructing the Holy House to 1796 (hover over to enlarge). Rendering showing the superposition of the floors of the hermitages (hover over to enlarge).